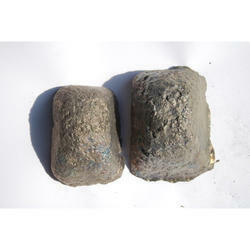 We supply Foundry Pig Iron produced in Vietnam (from very good iron ore with Fe 60-65%). Pls contact for best quote of Pig Iron. We can supply Foundry Pig Iron produced in Vietnam (from very good iron ore with Fe of 60-65%). A product in solid (lumpy) form obtained upon solidification of hot metal in pig casting machine. Pig Iron is used for production of cast iron casting and steel. Pig Iron is manufactured at our Orissa Plant. Pig iron has the advantage of being analysed in detail and is the source material that foundries prefer to use. Being an important supplier for Asian and European foundries, ACCOST IMPEX offers a reliable delivery service so that this essential raw material reaches its customers on schedule - whenever they need it. VISA Steel has established a 250 cubic meter Blast Furnace with a capacity to produce 225, 000 TPA Pig Iron in 2005. The Company commissioned the Blast Furnace within a record time of 11 months as a Greenfiled Project. The Blast Furnace, with state-of-the-art technology from SMS Demag/TRF, has turbo blowers and hot blast stoves which ensure a higher productivity and improved quality parameters. We can offer a huge gamut of Pig Iron to our clients. We maintain the quality of our range by ascertaining the percentage of metallization, which is the ratio of metallic iron to the total iron present in the product. Our pig iron finds extensive application in numerous areas. KFIL supplies Pig iron to foundries who cater to the Auto, Engines & Compressors, Textile, Pumps, Pipes & Fittings & Fans etc. Through the years KFIL has developed a customer network throughout India except Eastern Region, through agent, dealer and branch network.